Schaumburg police have confirmed that authorities found debris from Sheila Khalili’s car along I-57 near Bourbonnais on Wednesday. The Kankakee County Coroner’s office confirmed a body matching Khalili’s description was found inside the car, but formal identification and results have not been concluded as of Thursday morning. A Kankakee County Sheriff’s Deputy found a bumper and possibly other debris that match Khalili’s vehicle description in a stretch of road between Bourbonnais and Manteno. The search was focused in this area, and a car was spotted in a retention pond from a helicopter later on Wednesday. Diver’s then searched the retention pond on the east side of I-57 about one-half mile north of 6000N Road early Thursday morning. The area is under construction to add an interchange to the 6000N Road overpass. There are two long ponds just north of 6000N Road less than four miles from Olivet Nazarene University. The southwest corner of the south pond is as close as 53 feet to the right shoulder of the northbound lanes of I-57. The stretch of highway is located between Bourbonnais and Manteno. Khalili family attorney Thomas Glasgow confirmed that after the debris was found on Interstate 57, Khalili’s white Toyota Corolla was found in a retention pond at a nearby construction site. Khalili, 27, had been missing since about 1:50 a.m. Friday, when she failed to return to meet friends near Olivet Nazarene University, where she studied as a nursing student. An official at Olivet Nazarene University said Khalili checked out of her residence hall Thursday, May 4, 2017, turned in the key to her resident assistant, and left campus for summer break. 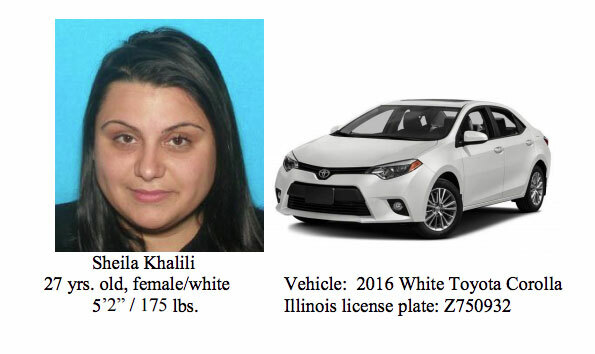 Initially police said she was headed home for Schaumburg, but later police confirmed they learned Khalili was on her way early Friday from Schaumburg to a friend’s house in Bradley, which is just south of Bourbonnais. Her last text was sent at about 1:50 a.m. apparently near I-294, where her I-PASS transponder was detected exiting I-294. No foul play is suspected, police are investigating the case as a fatal one-vehicle crash. 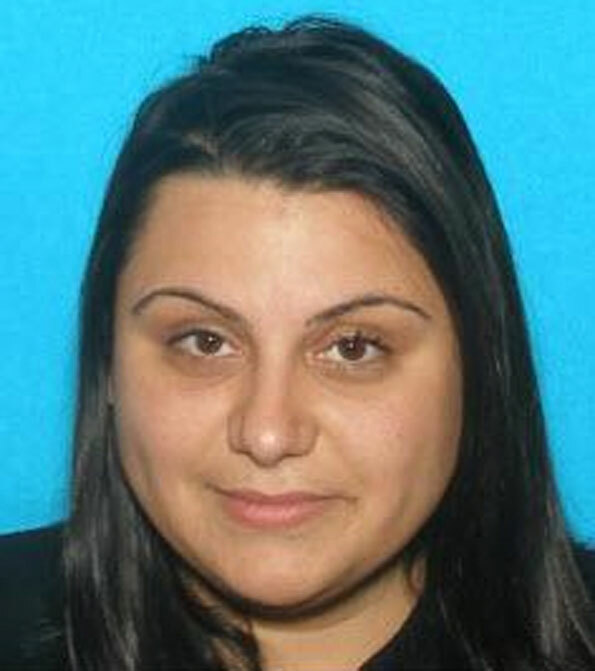 Sheila Khalili reported missing from Schaumburg, Illinois; last seen near Boubonnais, Illinois. Olivet Nazarene University, located in Bourbonnais, is approximately 77 miles from Schaumburg, Illinois, and is about a 1 h 20 minutes drive.